This year I've pretty much failed at all my challenges. I've only read 164 books this year. I know, how is that failure? I had hoped to read 200. But life really threw me a curve ball this year. My father's illness made reading very difficult this year and when he passed away last month,my life fell apart. I'm hoping 2015 will be better, but I'm going to take it easy. I'm not doing any challenges in this new year because I want to get back to reading to relax. I'll update my yearly reads post for this year over the weekend, but I'm not over taxing myself. I want my blog to be for the love of books and not work. Review: To say that I fell in love with this book would be an understatement. 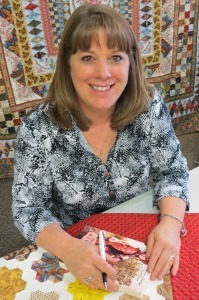 I've always loved stories about quilts and have read most of Jennifer Chiaverini's series, as well as Wanda Brunstetter's quilting series too. 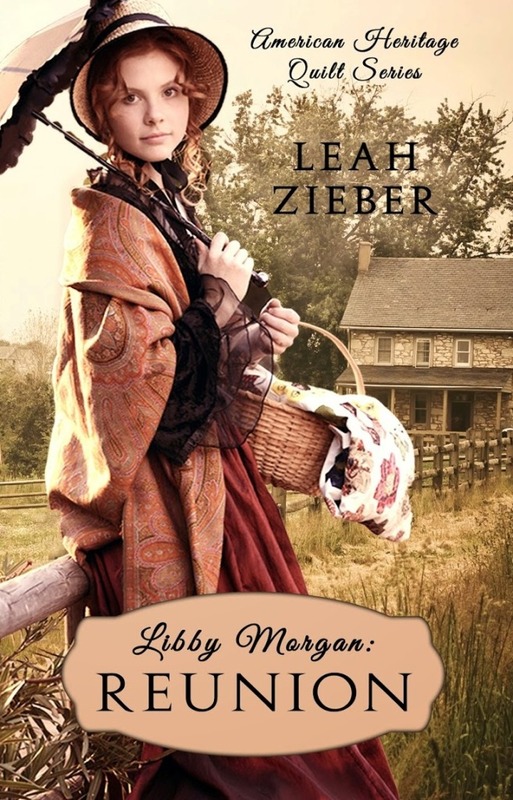 This is a young adult historical set in 1855 and Libby is a wonderful character. I've not read many historical novels with the main character being so young, but from the start I loved Libby. She acts older then her thirteen years, but occasionally will slip up and remind us, she's still not quite a grown woman. This is more than just Libby's story, it's a family drama too, as she uses letters to create her first quilt, and those letters make up the most intriguing part of the story. They deal with Libby's grandmother Morgan's early life. The story in those letters is heartbreaking. I loved how the events of the past came full circle in the story, giving Mother Morgan closure to past hurts. I felt sad that her husband, Edward didn't live to learn the truth. This is a Christian YA historical. Religion isn't front and center here, but there are times when I felt the character's faith was a little bit much considering some of the things that had happened to the characters, but it didn't do anything to detract from the story. This was a wonderfully well written story, and one that will draw readers in, especially if they have a love for quilts and quilt making. 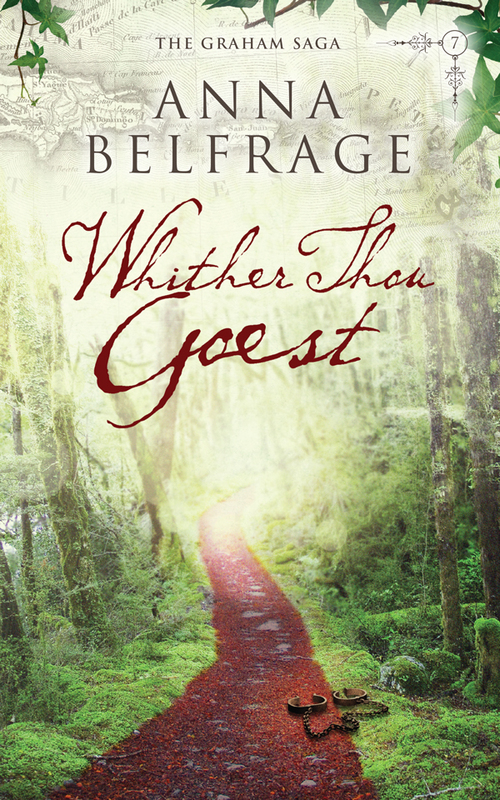 Whither Thou Goest is the seventh book in Anna Belfrage’s series featuring time traveller Alexandra Lind and her seventeenth century husband, Matthew Graham. In their rural home in the Colony of Maryland, Matthew and Alex Graham are still recovering from the awful events of the previous years when Luke Graham, Matthew’s estranged brother, asks them for a favour. Alex has no problems whatsoever ignoring Luke’s sad plea for help. In her opinion Matthew’s brother is an evil excuse of a man who deserves whatever nasty stuff fate throws at him. Except, as Matthew points out, Luke is begging them to save his son – his misled Charlie, one of the Monmouth rebels – and can Charlie Graham be held responsible for his father’s ill deeds? So off they go on yet another adventure, this time to the West Indies to find a young man neither of them knows but who faces imminent death on a sugar plantation, condemned to slavery for treason. The journey is hazardous and along the way Alex comes face to face with a most disturbing ghost from her previous life, a man she would much have preferred never to have met. Time is running out for Charlie Graham, Matthew is haunted by reawakened memories of his days as an indentured servant, and then there’s the eerie Mr Brown, Charlie’s new owner, who will do anything to keep his secrets safe, anything at all. Will Matthew deliver his nephew from imminent death? And will they ever make it back home? Review: First let me say, I can't believe there's only one more book left in the Graham saga. I highly recommend this series, especially if you are a fan of the Outlander series. Like I said, these books are part of a saga, so you really should read them in order, otherwise you will be a bit lost starting out. I know this because I jumped in at book five. However, you can read them as a stand alone book, but it may take you a bit to get used to what was going on. Anna Belfrage really knows how to take her readers back in time. I love the settings of these novels and this one is no different. It is full of adventure and action and romance and a lot of drama. This book reads like a historical soap opera. The kind you can't help but get involved in. I love following Alex and Matthew. I highly recommend this book as well as all the others in this series! Review: I'm always a sucker for holiday romances, and this was such a sweet story. Meg and Ty both fight their attraction for different reasons, but that attraction is definitely there. Then there's Meg's daughter, Brooklyn. She's absolutely adorable, and she steals all the scenes that she's in. At times she sounds much older than her 6 years, but she is precious. I love the ranch setting especially for a holiday romance. Melissa really brings the setting to life. You can picture all the lights on the barns as you read. Any time I read a book like this, I want to be there and this story wasn't any different. Plus I probably could help Meg learn how to cook. Why are so many heroines so inept in the kitchen these days? Stories like this always make me wish they were a little bit longer. I would have really would have liked to know more about Meg's first husband and how he came to be such a jerk about children and even more so I would have liked to sort out what really happened with Brooklyn at the end of the story. This was a perfect Christmas story. It was festive, fun and made me long for more. 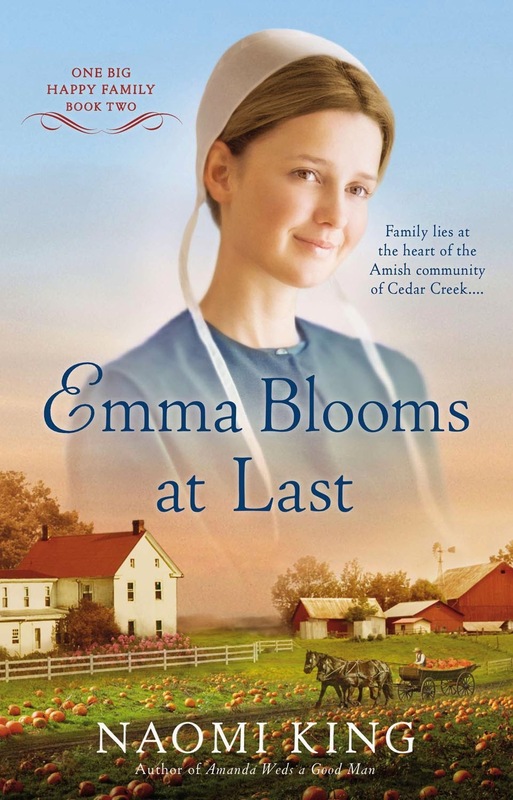 Review: First, let me say I love Amish fiction and Amish romance even more. This is the second book in the One Big Happy Family series. It is part of a series, but not to worry, this book can be read as a stand alone novel. I have to say that Naomi is now one of my favorite writers in this genre. She brings the many characters to life in such a way that you feel you are watching through the window. Its a novel of family, big family, and the hardships they face as well as their faith. Amanda and Wyatt face some financial hardships, while Emma's family are dealing with a heartbreaking loss, while she is discovering love for the first time. I was really drawn to the characters, all of them! I especially loved Emma's father Merle. He was a sweetie and he made me think of my own father quite a bit. Through the two families, you see growth through change. Jerome and Emma brought out good things in each other and Amanda and Wyatt's family proved that a family that can work together can pull through just about anything. This is the type of book that you curl up with on a lazy afternoon and you don't move until the last page is turned. Review: When it comes to cozy mysteries, you can never go wrong with Joyce and Jim Lavene. I adore their books and I was so excited to be part of the tour for the first book in their new series. 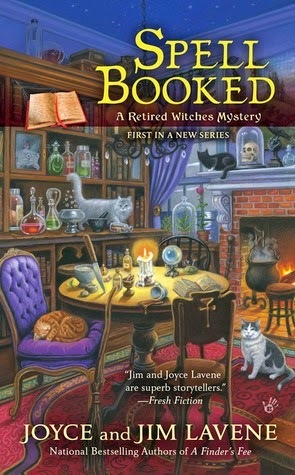 Witchy mysteries are always such fun and Spell Booked is all that and more. The three witches Molly, Elsie and Olivia find their powers waning, and they are hoping to retire, but not until they find new recruits. But before they can even contemplate packing their bags one of their own ends up murdered and their spell book is stolen and they will need more than a velvet cloak and silver coin to get things put to rights. This is probably my favorite books, by Joyce and Jim. Their books are always unique, but this series is a cut above the rest. I'm already looking forward to the next book! Review: I love holiday regency romances. When I was a young girl, I used to get the Harlequin Historical Christmas anthology collections and the regency stories were always my favorite. The Twelfth Night Wager takes me back to those books. Grace and Christopher's relationship reminds me a bit of Dangerous Liaisons, as Christopher was involved with a wager that involved seducing the young virtuous widow. There's more to this novella than just the wager. Grace is also being blackmailed, or rather, her late husband was, and now she is becoming a victim too. For a novella, I found all the characters to be well developed, though I have to admit I wanted to know more about them, especially Christopher. I would have loved to have been able to see the events from his past that turned him into the Redheaded Rake. The heat level is minimal, but I don't like a lot of heat in regency romance. This was a wonderful short holiday read, perfect for a cozy winter afternoon. I like that it's focused on faith and family. That's one of the reasons I love writing stories set in the past. In Regency England, one's faith was built into the celebration. And it was a simpler time. Unlike today where Christmas shopping takes center stage, in the early 19th century, it might only be a child that would receive a small toy. The emphasis was on getting together, having a wonderful meal, singing carols and enjoying the time with family. And those are my favorite things too. When my son was little and just old enough to understand what we were celebrating, it was wonderful to read him the Christmas story and tell him about the greatest gift of all, God's gift to the world, and see the smile on his little face. 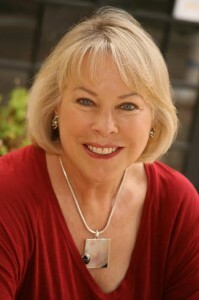 What is the most challenging thing about writing a holiday romance? Do you have a favorite holiday novel? I'm not sure I have a favorite holiday novel. I like Christmas romances that have the same meaty plots that other historical romances have, but they are hard to find. One I did like was a medieval by Michele Sinclair, The Christmas Knight. I thought Sinclair did a great job of weaving in the Christmas season's traditions that were being celebrated in the 12th century while drawing us into a true love between two people who have much to give.I also like Johanna Lindsey's The Present. It's a good one, especially for fans of her Malory series. I am currently writing the prequel to my Agents of the Crown trilogy, To Tame the Wind to be released in 2015. Think of a blond Errol Flynn capturing that which his enemy holds most dear. Claire Donet is the convent-raised daughter of a French pirate. Simon Powell is an English privateer who will hold her for ransom to regain his men and his ship. The waters between France and England will roil as Claire's father and her captor clash in the last year of the American Revolution and spies lurk in Paris. It's set in London and Paris and the waters of the English Channel in 1782. When I finish that, I'm going to write Rogue Knight, the second in my Medieval Warriors series. I just published book 1 in October, The Red Wolf's Prize, and my readers seemed to love it. They rode into Hyde Park and soon were on the broad path of Rotten Row, the King’s Road. Ahead of them, the path was clear and the trees on either side shielded them from view. The bays picked up speed in response to Eustace’s commands. Grace observed how adroitly he handled the reins, expending little effort in controlling the powerful horses. “You might,” she admitted. “Though he is my stepson, I care deeply for him and he has honored me with his affection. He’s such a splendid young man, and with so much promise.” A promise Grace wanted to see fulfilled untainted by scandal. For a moment she was tempted to confide in the man sitting beside her. He might have a thought as to what she could do about Lord Pickard. But her spirit urged caution. She did not know Eustace well and was reluctant to bring them closer by such a confession when he had in mind to seduce her. Eustace began to drive the horses like the wind, racing down the path as if straining to gain a lead on some unseen competitor. He was definitely in his element. The horses, as if sensing a master, responded to his touch. Grace watched his gloved hands on the reins, powerfully gripping the leather, and there was something very masculine about them so that she shivered at the thought of them touching her. As Eustace let the pair have their heads, she braced herself with one hand on the side of the carriage and one on the seat beside her to keep from being jostled. He was laughing, and Grace found herself laughing with him. This was exhilarating and so unlike her life in the last few years. She felt more alive being with this dangerous man and his fast ways; she was once again the young girl she had been racing over the hills of Oxfordshire with her long hair streaming out behind her. What had happened to that girl? 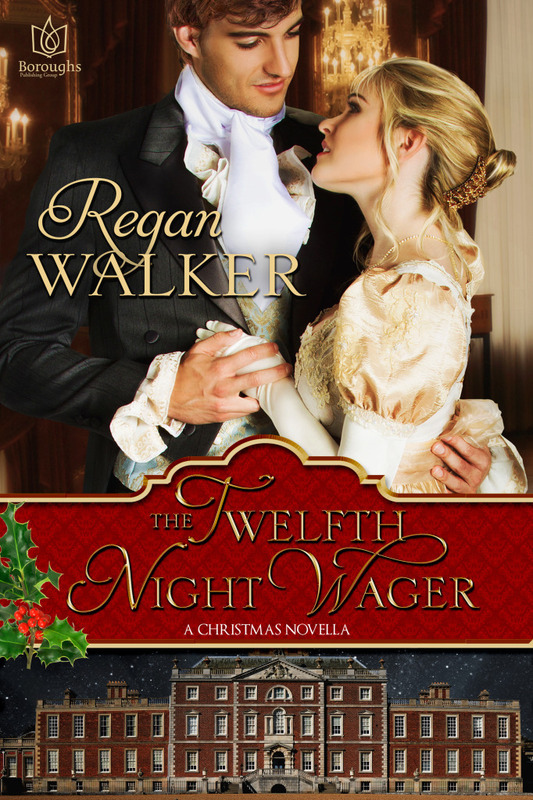 Please join Regan Walker as she tours the blogosphere with HF Virtual Book Tours for The Twelfth Night Wager, from November 25-December 6, and enter to win a Twelve Days of Christmas Bracelet! To enter to win a Twelve Days of Christmas Charm Bracelet, please complete the Rafflecopter giveaway form below. – Giveaway ends at 11:59pm on December 6th. You must be 18 or older to enter. I absolutely love historical mysteries. 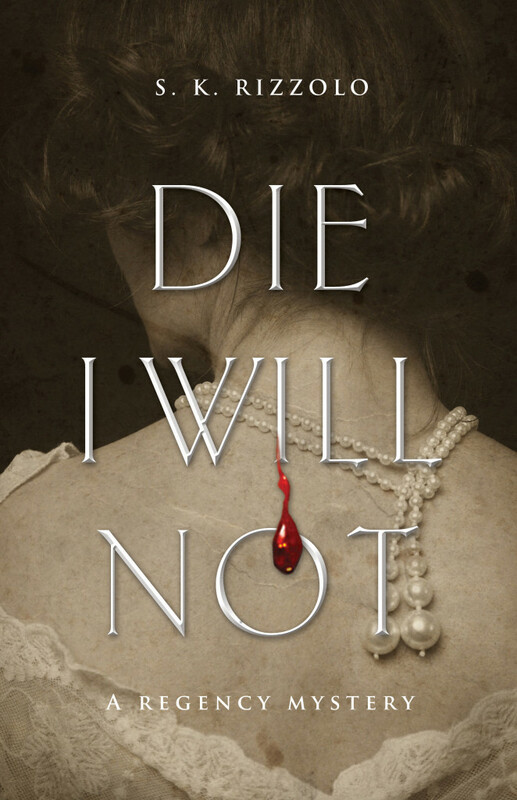 Die I Will Not is book 3 in the John Chase mystery series. Don't worry, you don't need to read the other two books to jump into this one. I loved Penelope. She was really the star of this novel. I was drawn to the book when I read that the characters were navigating the dark underbelly of London. I love darker mysteries, and this one fits the bill. It definitely isn't a cozy. There's a murder, yes, but there's also political intrigue. Definitely worth the read, if you like the regency setting as Ms Rizzolo puts a lot of attention to the details of the time period. For more information please visit S.K. Rizzolo's website. You can also find her on Facebook and Goodreads. 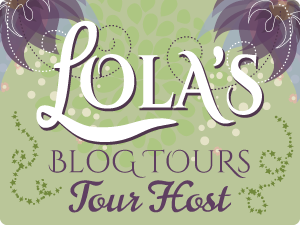 I got the chance to interview author Freda Lightfoot for this tour. 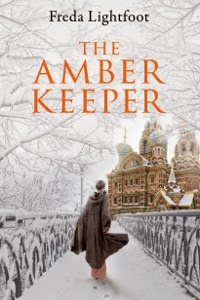 Stop back later today for my review of The Amber Keeper. 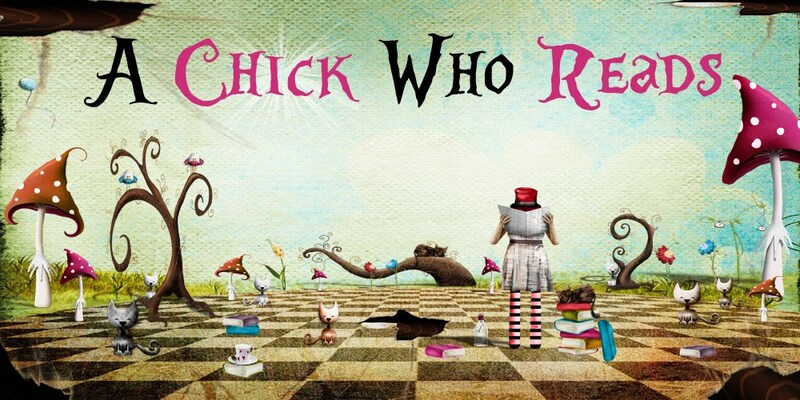 1.Who is your favorite author? A difficult question to answer as it changes constantly. My passion for historicals was born through reading the entire collection of Anya Seton, Norah Lofts, Jean Plaidy and Mary Stewart, which are still on my shelves along with Georgette Heyer and Jane Austen. Currently I’m enjoying Susan Holloway Scott, Lucinda Riley and Rachel Hore. But next month it could be a different selection. My all time favourite is Daphne du Maurier for the beauty of her prose and strength of her characters. 2.When did you decide you wanted to be a writer? As a child I would tell stories to my friends, write little plays to perform for them, and spent endless happy hours writing stories in little red exercise books when really I should have been doing Math homework. They were alarmingly similar to whatever I’d recently read: Enid Blyton mysteries, Chalet School, and my all time favorite: The Secret Garden. I always wanted to be a writer but this was considered a rather exotic ambition and I needed a ‘proper job’, so I qualified as a teacher and it wasn’t until I was bored with the nappy routine that I took writing up as a hobby. I wrote short stories and articles in any spare moment I could find. Often while the TV was on, or while I was cooking. (Which can tend to mess up dinner somewhat). But after I opened a book shop writing again fell by the wayside as I was too busy running a business and bringing up my kids. After ten years of this I took a break and moved out onto the remote Lakeland fells. Here I became thoroughly involved in rural life, keeping sheep and hens, various orphaned cats and dogs, built drystone walls, planted a small wood and even learned how to make jam. It certainly wasn’t the quiet life I’d anticipated. But fortunately the weather was so bad I was able to stay indoors a good deal and write, finally selling over forty short stories and articles. Then after three rejections I sold a historical romance to Mills & Boon which gave me an enormous boost. 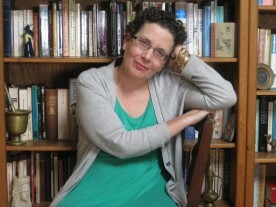 I wrote five of those before moving on to write family sagas and women’s fiction. 3. If you could have dinner with any famous person, who would it be and what would you be eating? Alan Bennett. I loved his Talking Heads on TV, and saw Forty Years On and Lady in the Van on stage in London, among other plays he’s written. He is a wonderful playwright with a great sense of humor. As he lives in Yorkshire we’d go to Betty’s where the waitresses dress in Victorian style costume with pretty white aprons, and we’d have afternoon tea with delicious cakes and scones served on a three tier cake tray. 4.What is your favorite way of relaxing? I love to garden, go for long walks and do zumba in a hopeless effort to keep fit, but it’s fun dancing to music. 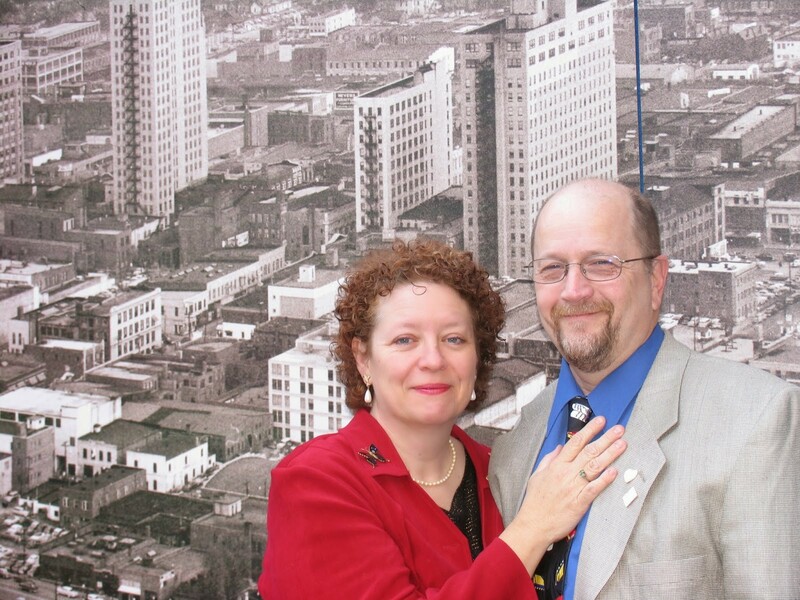 My husband and I also love to travel and cruise, now we’ve reached that certain age. Holidays for me are a reward for all my hard work, as I have no intention of retiring. Of an evening I like to watch a good drama on TV, and read, read, read. There is never enough time in my day for all I want to read, which means I do tend read long into the night. 5.What is your favorite tv show? Downton Abbey. I’ve also just enjoyed reading the true story of the Real Downton Abbey, or rather Highclere Castle where the drama is set. It tells the story of Lady Catherine, the Earl of Carnarvon and his many mistresses. A fascinating tale written by the current Countess of Carnarvon. My snow-boots were worn through so that I walked on the ice that coated the rough mountain path, the soles of my feet numb with cold. Gasps of breath formed frozen crystals on those parts of my nose and cheeks not protected by scarf and fur hat. I had long since lost my small pony, the poor animal having bolted home in terror when the guns started, although whether she’d ever arrived is doubtful. Home, if that is what you can call the house in which I had resided for so many years, no longer existed. It was but a shell of its former glory. I remembered how the darkness of the night seemed to press in upon me, almost as if I were back within those prison walls. I had closed my mind to the horrors I’d left behind, attempted to set aside my fears about those loved ones dear to my heart who had vanished from my life. Instead I’d fixed my weary gaze on the heels of my guide trudging ahead of me, knowing that if I was to survive, I must stay focused. This was my last chance to get out of Russia. We walked for days, through ice, snow and blizzard, sustaining ourselves with hunks of none too clean stale bread, and with nothing to wet our palates but sucking on icicles. When, hours later, we staggered into a cave my knees gave way and I fell to the ground, weak with gratitude. I remember feeling a huge relief that at least I could rest for a while, thankful to be out of the bitter wind. The last two nights - or was it three -we’d slept in the open, not even daring to light a fire in case the Bolsheviks should spot it and come searching. Curling myself thankfully into a corner, rubbing my hands and feet in an effort to stave off frost-bite, I pulled up my collar, tucked my knapsack beside me and told myself firmly that I must not fall asleep. I was afraid I might never wake again, due to the fierce cold. But despite my best efforts I must have fallen asleep instantly out of sheer exhaustion, for I knew nothing more till I was woken by a shaft of daylight filtering into the cave at dawn, and some strange sound that had alerted me. I sat up abruptly, looking around for my guide. He was nowhere to be seen. The man to whom I’d paid an exorbitant sum, every last kopek I possessed, had deserted me. I was quite alone. But as the sound of horses’ hooves clattering over rocks penetrated my befuddled brain, I realized I was about to experience some unwelcome company. Born in Lancashire, Freda Lightfoot has been a teacher and a bookseller, and in a mad moment even tried her hand at the 'good life'. Inspired by this tough life on the fells, memories of her Lancashire childhood, and her passion for history, she has published forty family sagas and historical novels including Daisy’s Secret and Watch for the Talleyman. 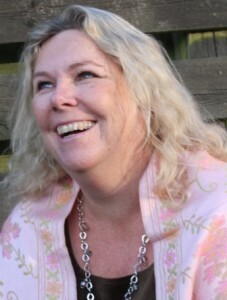 Freda has lived in the Lake District and Cornwall, but now spends her winters in Spain and the rainy summers in the UK. For more information about Freda, visit her website: www.fredalightfoot.co.uk.